Sorry for the delay adding this part to our page. As promised here are some web links to research this rich and lush environment. 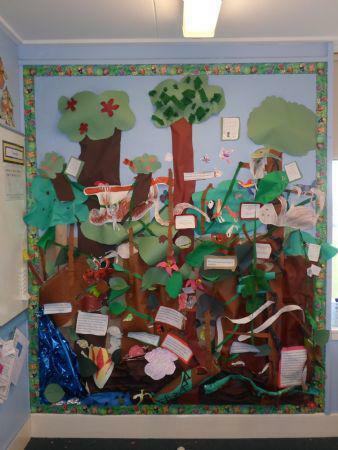 On Wednesday 6th May, we spent the entire day researching and creating this fantastic rain-forest display. It is full of plants, creatures and facts all about the rainforest. Lots of the class want everyday to be a rainforest day!! !